The public airfield of Saarlouis-DUEREN (ICAO-designator: EDRJ) is located 10km west of the city of Saarlouis, which has approx. 50.000 citizens and is located at the western border of Germany (very close to France and Luxemburg). The dropzone in Saarlouis operates every week from April on and will be open every day during specified weeks in May, June and July. For arrangements of your pre-training planning please contact the organizer at least 30 days in advance. Accomodation in the competition hotel with special price conditions will be available. For details please contact the organizer by e-mail.  Pre-competition training is also possible from Wednesday, 2nd of August till Monday 7th of August out of the competition aircrafts. Please let organizer know your intentions at preliminary entry form!